Evenings are the time for stories, dreams and fairy tales. After a strenuous workday, we long to retreat for a time from everyday life and lose ourselves in another world of a book or film. 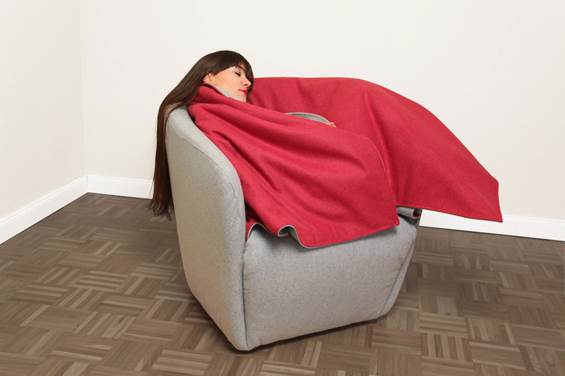 The chair reinterprets these two facets of day and evening, work and leisure time, reality and fairyland, waking and sleeping (dreaming). 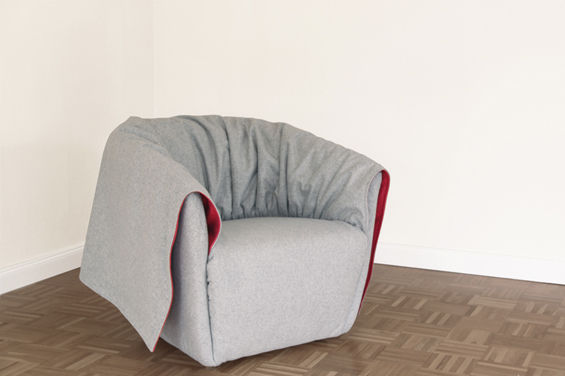 The armchair is thus enveloped in a soft, loose “cape” which is attached only around the inner edge of the seat. 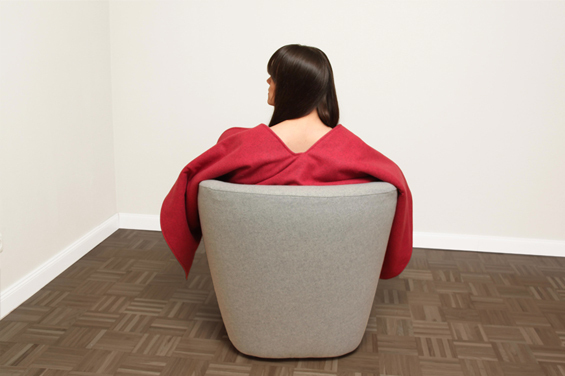 The cape goes in loose folds up, over and down the back of the chair, forming a harmonious unity  the red material comprising the inner side of the cape hints at an additional facet of the design. 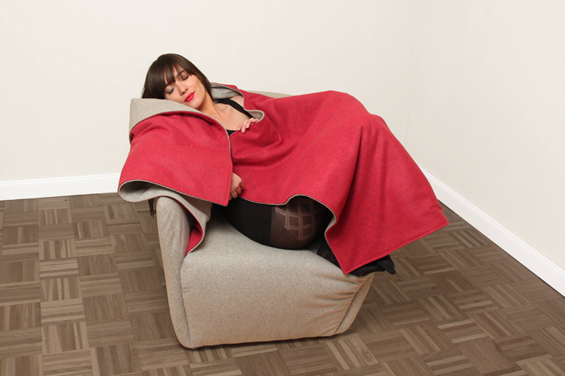 With a turn of the hand, you can flip the drapery of the armchair over your shoulders and legs in any way you desire like a sensual, red protective cape, thereby ensconcing yourself in your own individual “other world”. 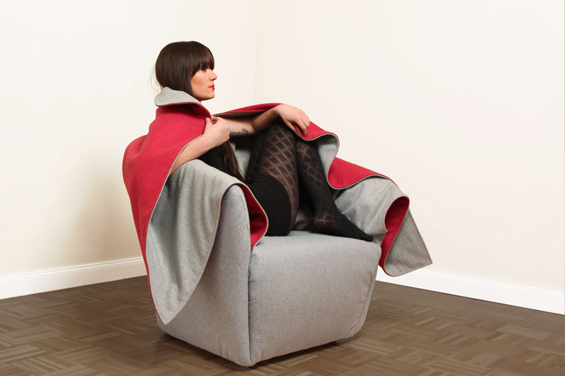 When you stand up, just throw the cape back over the armchair where it falls again into its original draped folds, returning your hideaway seat to its elegantly proper armchair-like self.